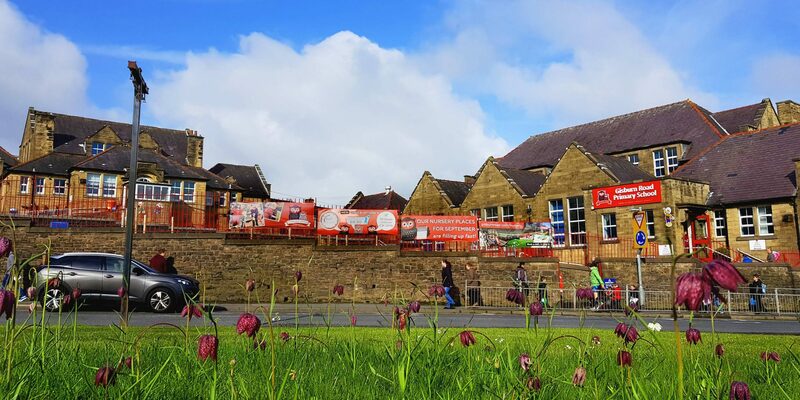 We are very lucky to overlook Barnoldswick Town Green, which is just across the zebra crossings from our main building and playground. This land used to to be the sidings and coal yard for the railway, which was raised above the level of Skipton Road. We are very lucky that the land was cleared, levelled, planted with trees and designated as a Village Green. The school buildings look out over this green space in the very centre of town.